On Wednesday, August 1, former Colombian president Álvaro Uribe again took to Twitter with a political announcement, this time reversing his decision to resign from the Colombian Senate. Just last week Uribe announced via his Twitter page that he would be resigning from the Senate due to the ongoing investigation into allegations of procedural fraud and bribery. Today he posted with a change of heart, asking Ernesto Macías, President of the Senate and fellow Democratic Center Party member, to “not take into consideration” his letter of resignation. Uribe stated that it had not occurred to him that his resignation would mean that his case would be heard by a lower court, and his decision to remain in the Senate was spurred by a desire to have his case heard by the country’s highest judicial authorities. Ever since Uribe announced his resignation last week, different coalitions in the Senate, including some of the opposition, expressed their desire for him to remain in the Senate. 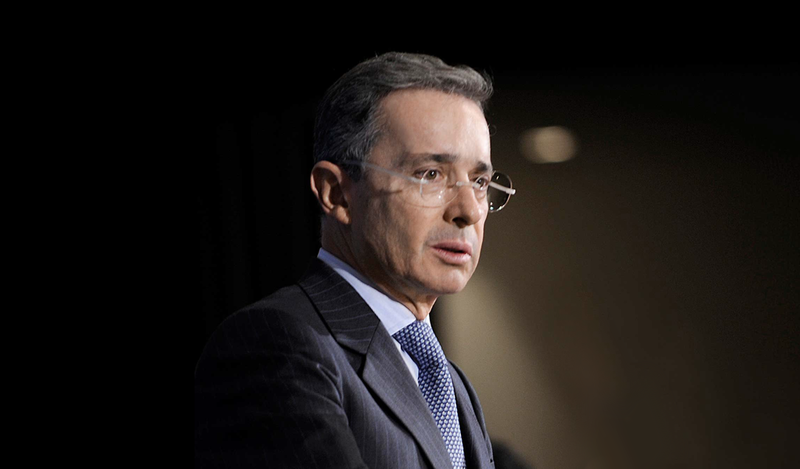 The Democratic Center Party had been particularly strong about their desire for Uribe to remain, with continuous efforts throughout the week to urge Uribe to reconsider his resignation, especially since Uribe’s departure from the Senate would leave their coalition, the majority in the Senate and second largest in the House, without its leader just before the transfer of power to Ivan Duque’s new administration. With Uribe remaining in the Senate, the new administration will retain its most powerful political ally, which should have a profound impact in aiding the passage of any legislation introduced by Duque and his administration in the coming weeks.